One of the tidbits of news that came out of the Google I/O keynote yesterday was around Google Photos. The app and service were launched last year at I/O and the growth has been nothing short of impressive. In his keynote, Google CEO Sundar Pichai announced that the service is now seeing an impressive 200 million active users per month. Perhaps even more impressive, users of the service had created 2 trillion labels. Those labels help users find things faster in their photos. great strides in 12 months. Full disclosure: I am a Top Contributor in the Google Photos Product Forums so for me, this app and service is near-and-dear to me. More changes are coming of course as Google continues to refine the app and leverage their AI engines on the back end. But even today you can do some very powerful searching. You can search for selfies or even selfies of yourself and Photos will return you the results – and it is scary accurate. You can search for your dog or cat or anyone by name that you have tagged in your photos. 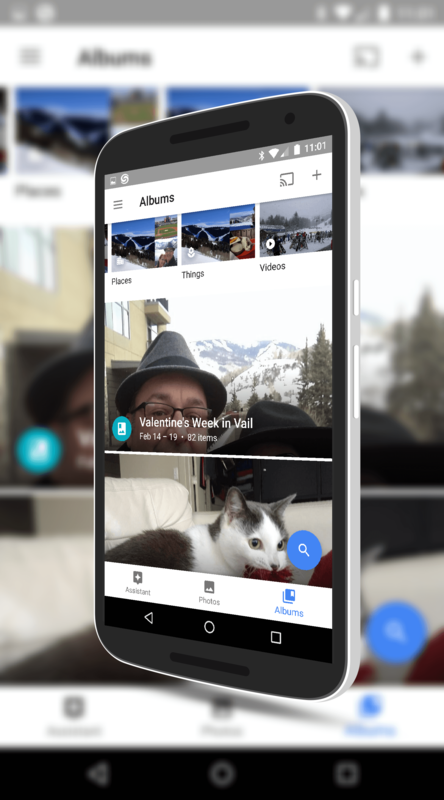 If you haven’t tried out Google Photos I highly encourage you to do so. It’s available for both Android and iOS users and you can also get to by going to https://photos.google.com on any browser.